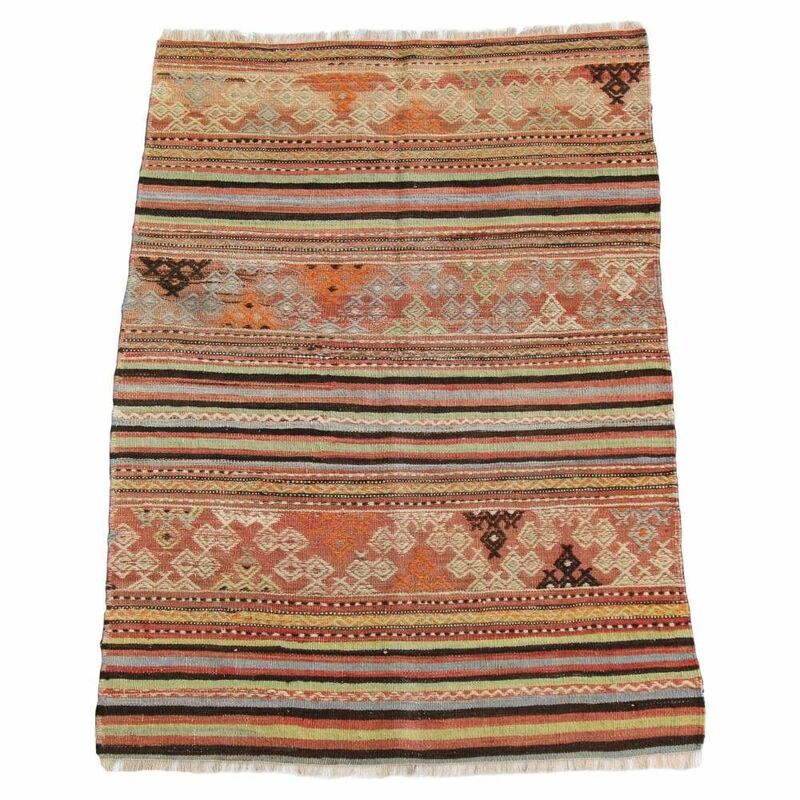 Antique Vintage Small Kilim - 2'8'' x 3'8'' This kilim rug can be a stunning focal point and a trendy upgrade to your tonal decor. The Brown Cicim Kilim Rug features a minimalist pattern and a unique neutral brown color hues. This beautiful designed kilim is sure to liven up any room in your space that is missing a little oomph.